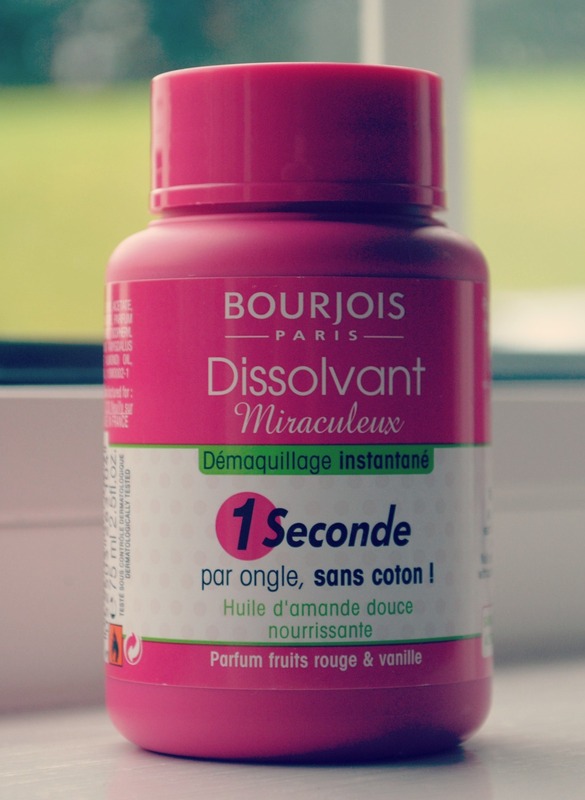 If you read blogs regular you've probably heard of the Bourjois magic polish remover. I have been wanting one of this for ages and couldn't get it anywhere but i knew they were hard to get and the other day when i wasn't looking for it i found it in Superdrug for £4.99 ( just to let people know i found it not with the nail polish removers but Bourjois's make up counter) you might be sick of hearing reviews but i really wanted to do one because i love it so much. On the packaging it Say's that "All you need to do is dip each finger into the sponge,twist and remove. Nail polish is instantly removed without the need for cotton wool". 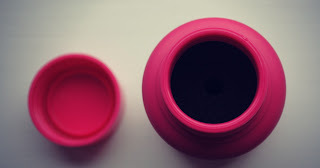 What the company have stated is so true that is all you need to do to remove your nail polish. The tub is smaller than i thought it was when you open the lid it smells like normal nail polish so when i didn't smell the red fruit and vanilla fragrance i was a bit disappointed. There is a small hole in the sponge and that's where you insert your finger. The magic began when i took my finger out it had an oily texture and it no longer had that horrible smell instead it had the red fruit and vanilla fragrance. I usually hate taking of my nail polish but know i think i will be making excuses to use it. If you haven't yet bought this product yet you need to get it now! I really need to know this question: Does it get rid of the nail polish by the skin?